The beating heart of your application. The best quality with longer life and more cycles. Get the most out of your battery and extend it's life expectancy with more and longer cycles. Your appliances deserve the best charger! 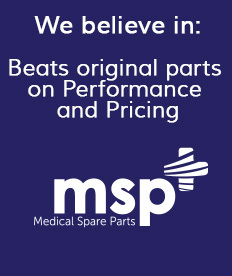 Ergonomic, Durable and Quality describe MSP's handhelds best. Period. Patient, Comfort and Quality are placed first according to our philisophy. And then there is the price. Done deal! Reliable and high grade components dictate our catalogue of castors and wheels. Plus additional saving on costs!. The brain of your application deserves the best quality. Food for thought. Besides the named categories we offer plenty of other products. They may not have a distinct category, but they do ship from stock and meet our quality standards!